R. S. Thomas (1913-2000) is the most recognizable literary figure in twentieth-century Wales. His controversial politics and public personality made him a cultural icon during his life, and the merits of his poetry have continued to be debated in the years after his death. Yet these debates have too-often circled familiar ground, returning to the assumed personality of the poet or to the received … narrative of his experience. Even the best studies have focused almost exclusively on ideas and themes. As a result, the poetry itself has frequently been marginalized. 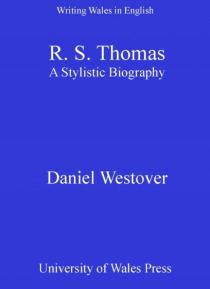 This book argues that Thomas's reputation must be grounded in poetry, not personality. Unlike traditional literary biography, which combines historical facts with the conventions of narrative in an attempt to understand the life of a literary figure, this stylistic biography focuses on the essential relationship between the maker and the made object, giving priority to the latter. R. S. Thomas began his career by writing sugary, derivative lyrics inspired by Palgrave's Golden Treasury, yet he ended it as a form-seeking experimentalist. This study guides the reader through that journey, tracing Thomas's stylistic evolution over six decades. In so doing, it asserts a priority: not to look at poetry, as many have, as a way of affirming existing notions about an iconic R. S. Thomas, but to come to terms with the tensions within him as they reveal themselves in the tensions - rhythmic, linguistic, structural - of the poetry itself.